Why do Movies Take God's Name in Vain? 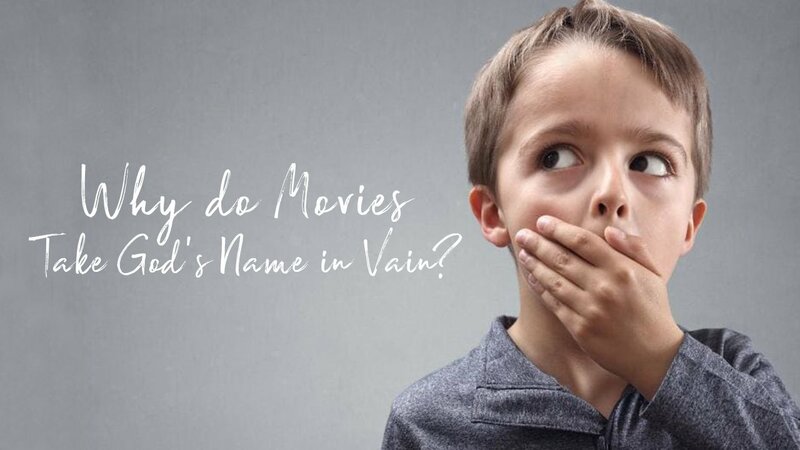 Why do Movies Take God’s Name in Vain? You might recall a few years ago (2013), a Martin Scorsese movie made headlines for its obscenities. THE WOLF OF WALLSTREET has the F-bomb 506 times, making it the record holder for the most F-bombs in the history of movies. According to a study cataloged in Fox News, the average American uses a swear word by 10:54 am because of stress. As to what constitutes a swear word, the study didn’t go into detail. Several studies according to Huffington Post state that there are benefits to swearing, but others aren’t so sure about this, especially when it relates to swearing around children. Dr. Ronald Riggo of Psychology Today states that swearing in children might be a sign of lack of discipline. As Christians, we understand the importance and value of holding one’s tongue and not losing self-control and speaking out of anger. If Fox News and other reports are right about foul language usage in American culture (even though a large portion, if not majority disapproves of foul language), one wonders if winds could be shifting because of recent developments. In 2018, there’s been a slew of firings, especially in Hollywood, for individuals using abrasive or racist language in the workplace, as well as sexual harassment. Even venting on Twitter has cost some actors and actresses their jobs. Right now, there’s a sense that workers are thinking (or trying to at least) before they speak. So only time will tell if this encourages people to hold back on saltier language. The Bible talks about not letting obscene language come out of our mouths, but what’s most disturbing is when God’s name is taken in vain or blasphemed. Scripture is pretty clear about the honor in which Gods name should be held. It’s also repeated in Deuteronomy after the Israelites needed reminding. Why is God so adamant about this? God’s name is holy (Isaiah 26:13, Prov. 18:10, Ps. 135:13). Even at the beginning of the Lord’s prayer, we pray, “Hallowed be your name.” No good thing exists without God. Using his name as a point of anger or frustration, even passion shows a lack of respect for all He has done. Like the Israelites, we need constant reminding of God’s commands. 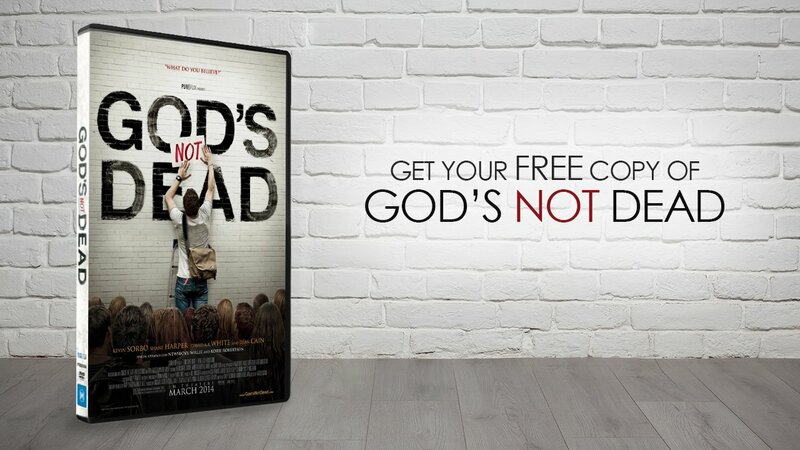 It’s curious that movies that don’t even have outright Christian content take God’s name in vain. If the characters address a God they don’t believe exists, what value is there? The heart of the taking of God’s name begins and ends with a lack of knowledge of who God is or a disregard for His reverence. That’s some heavy language, and it’s intentional. Many Christians wrestle with God’s sovereignty, so it’s no wonder non-believers often disregard it when it can be overlooked by even His followers. Don Wilton of BillyGraham.org writes, “The name of God has everything to do with all that God is. When His name is pulled down into the mass of human society, everything pertaining to His unique and sovereign ability is devalued…. In a strange, reversed sort of way, every time I hear the name of Jesus used as a curse word, I think God is affirming the truth of His Word.” In essence, people profaning God’s name is a reminder and proof that Jesus is God, and many people, and the devil hate that. When it comes to movies, we at Movieguide® love family movies, but it’s frustrating when popular family-friendly movies like INVINCIBLE, HERBIE FULLY LOADED and TRON have dialogue that takes God’s name in vain. Even animated movies like THE INCREDIBLES or TROLLS have dialogue like this. A few months ago, the recent Marvel movie ANT MAN AND THE WASP, which has some great moral content and is very exciting, has a couple profanities, including a strong use of G**d***, and two offensive uses of Jesus’s name. Why is this? It could be that we’ve normalized this type of disregard for God’s name and are too afraid to speak out about it. There’s a popular song from the Christian band Hillsong that many churches sing called “What a Beautiful Name”. It highlights the majesty and wonder of God’s name in worship. Maybe we, as believers, just need to sit and think about that for a period and speak up when we hear Jesus’s name abused by someone we know. You don’t have to be judgmental or rude about it, and it’s not that God needs us to stand up for Him. He is the God of the universe after all. But, clearly, in scripture, God states that He wants His name revered, so in a nation where God is literally mentioned on our money, it shouldn’t be hard for us to speak out about how much we value the name of God to our friends and family. Movieguide® tries to do this in Hollywood, and while there’s lots of work to be done on this front, we hope at the very least God is honored by us working in Hollywood to make his name glorified, not demeaned, in movies and television.